Do you dress the kids up for midnight mass, or the holiday party? If so I have some great ideas for you to dress your little one in something dapper for the holiday. I recently stumbled upon Dapper & Crown Clothing. Oh my gosh, they have the cutest apparel for little girls. Your sweet daughter, niece, or granddaughter will look absolutely precious in their clothing! Okay, so I love the name Fiona because of Shrek, but wait until you see Dapper & Crown’s Fiona blouse. It’s adorable!! 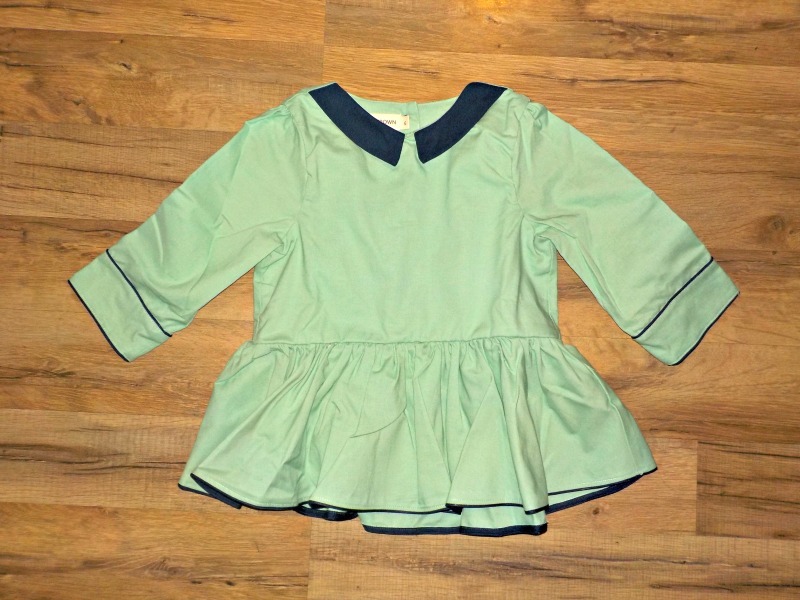 Pair with a skirt, leggings, or even some nice shorts, and your little girl is going to be gorgeous! Fiona comes in two beautiful colors. There’s Aloe which is a pretty, mint green with navy blue trim. Pearl Pink is a very light pink and trimmed in red. (Equally as gorgeous!) It comes in sizes two to six. I also happen to adore the name Mackenna because I know a young woman by that name and she’s amazing! 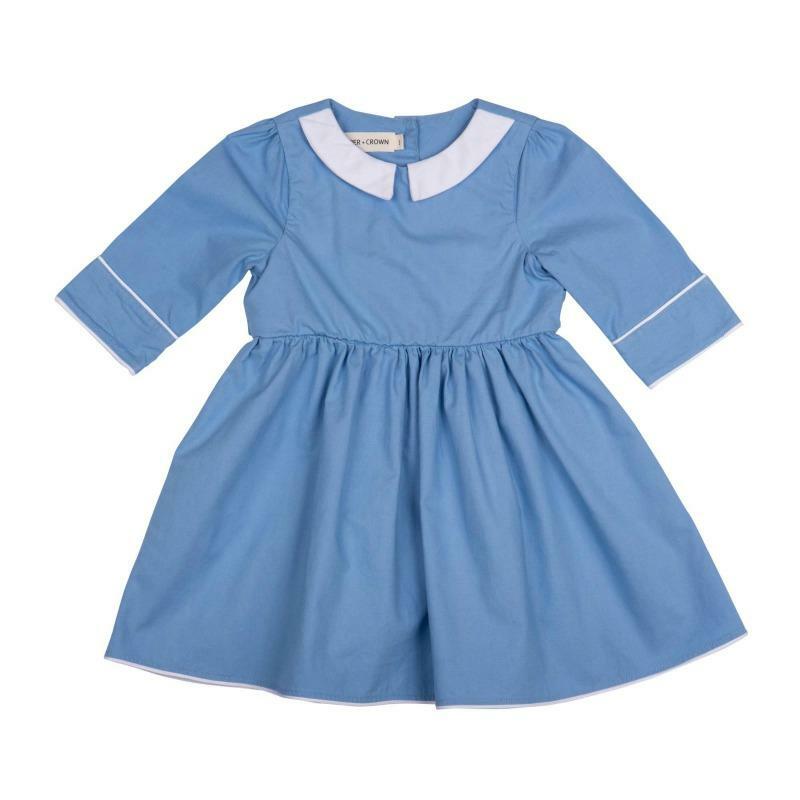 Dapper & Crown’s Mackenna dress takes me back to my youth when I wanted an Alice in Wonderland dress! That’s exactly what it reminds me of. The classic style will always be on point whether she’s off on an adventure, or dressing for a special day. It comes in Periwinkle and Sand, and in sizes two to six. I’m infatuated with Dapper & Crown’s Willow jump skirt. Pair it over a shirt, or without if it’s a super hot day. 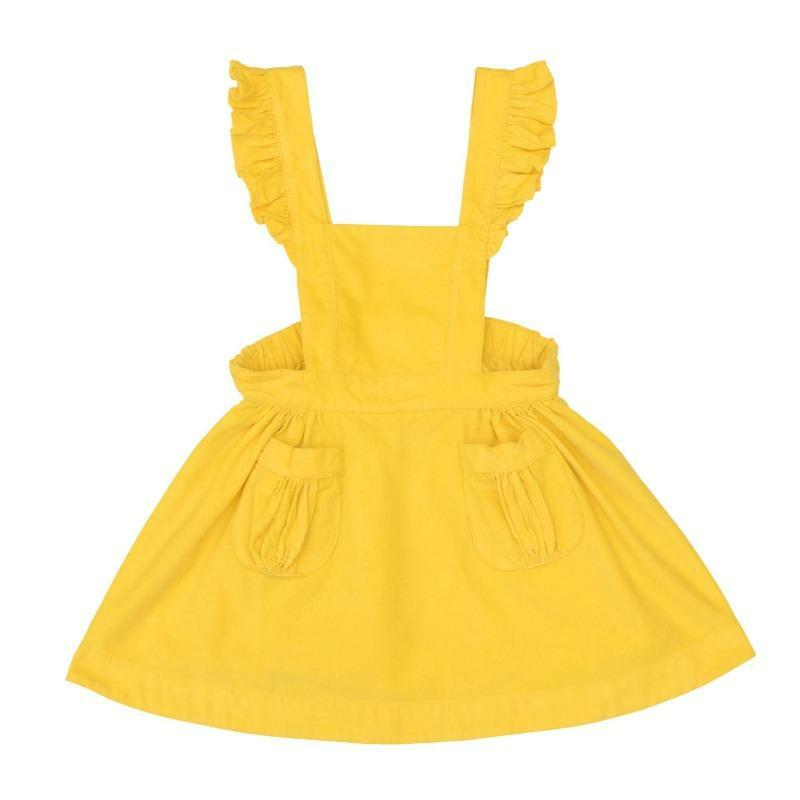 The ruffles and pleated pockets are so cute! You can get Willow in Citrus which is a cheery yellow, and Titanium which is a silvery gray. Like their other clothing, it comes in sizes two to six. 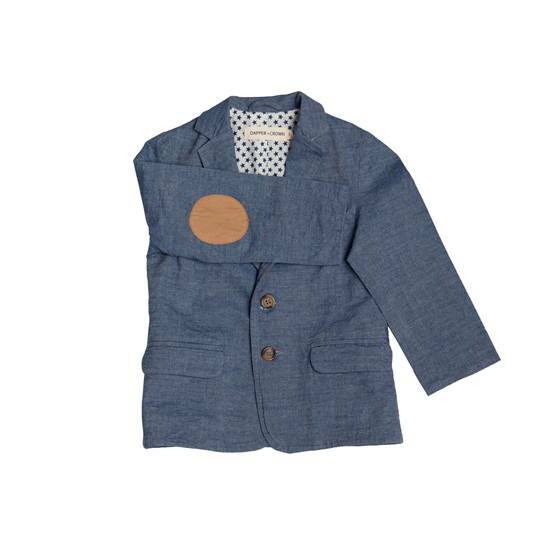 Piper is a jacket that can be paired with all of Dapper & Crown’s clothing. Or pair it with a tee and jeans for a dressed down, dressed up look. This jacket is unisex, so your son or daughter can rock it! It has brown elbows and a star lining. You’re going to love it! To see more, head to Dapper & Crown. You can also follow them via Facebook, Twitter, and Instagram.